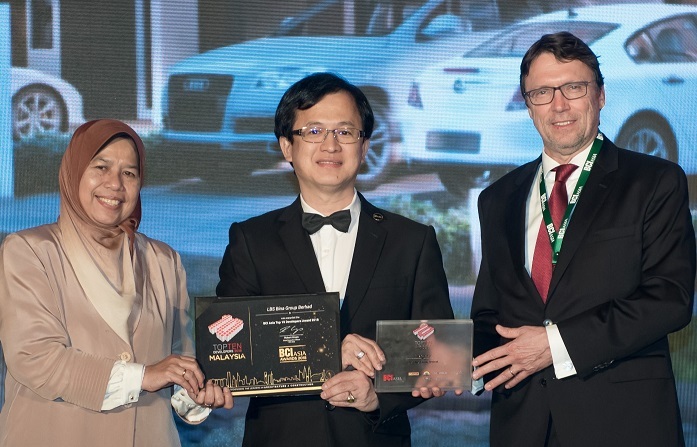 Echoing a prevailing national sentiment towards building sustainable communities and townships, LBS Bina Group Berhad (LBS) was recently saluted alongside some the country’s top property giants at the BCI Asia Awards 2018 – Top Ten Developers Awards 2018. The annual award ceremony recognises developers that have made the most significant contributions towards sustainable development in seven regional markets across Asia. This year’s award ceremony marks the third time LBS has received the recognition. In congratulating the award recipients at the event, newly-appointed Minister of Housing and Local Government Zuraida Kamaruddin said that the industry was not just in the business of constructing homes, but also constructing a nation. Describing a new reality for the industry landscape, LBS Bina Group managing director Tan Sri Lim Hock San said that more people are aware of their carbon footprint today, and people making a genuine effort to reduce its impact on the environment. “As a responsible corporate citizen, sustainability is an important element we consider in our projects and processes. This means we work hard to incorporate practicality in our designs, to maximise natural lighting and ventilation in homes; increasingly making an effort to observe energy efficient practices. We also source for sustainable building materials,” said Lim. 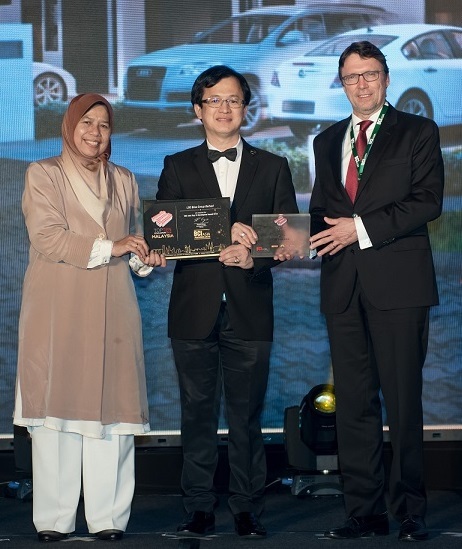 LBS Bina Group Berhad executive director Datuk Daniel Lim Hock Sing receiving the BCI Asia-Top Ten Developers Awards 2018 from Housing and Local Government minister Zuraida Kamaruddin (left) and CEO of BCI Media Group Dr. Matthias Krups (right). Explaining further about its current sustainable practices, LBS advocates the benefits of the Industrialised Building System (IBS), which it said has resulted in increased efficiency of labour resources, waste minimisation, and neater and cleaner construction sites with minimal congestion. LBS incorporates sustainable designs into its creations. For example D’ Island Residence is among its first flagship developments to incorporate the rainwater harvesting system, which harvests non-potable (non-consumption) water from the roof to be reused around the home. On average, the system is estimated to help save up to 84,862 litres of water per household a year. Other frequent green features used in its portfolio of developments include energy efficient LED street lights around for its townships, specifically its popular Bandar Saujana Putra community. “We believe incorporating green elements into our developments further empower home buyers to reduce their carbon footprint in the long-run. Green practices are not merely legislative requirements, but should be viewed as best practices worth investing in to help future communities thrive,” said Lim. “We are honoured to be listed among the best in the industry. Our clear direction, support from our dedicated LBS team, and trust from our shareholders and home buyers have made this achievement possible. This achievement assures us that we are heading in the right direction. Moving into the second half of 2018, our focus remains on creating sustainable living, working and recreational environments for the benefit of home buyers in Malaysia,” Lim added. LBS has seen a bullish year so far in terms of sales, achieving its target of RM1.8 billion between January to June of 2018. The developer has 18 ongoing projects which have a combined gross development value (GDV) of RM3.95 billion. Meanwhile, upcoming launches in the pipeline for the second half 2018 combine to have a total gross development value of close to RM1 billion. Since inception in 2003, the BCI Asia Awards – Top Ten Awards has positioned itself as one of the most coveted awards for the architecture, development and construction sectors across Asia. The key markets it focuses on include Hong Kong, Indonesia, Malaysia, Philippines, Singapore, Thailand and Vietnam. 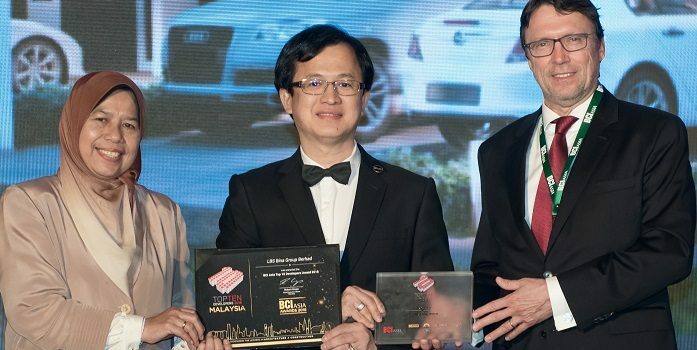 The award ceremony and gala dinner event was held at Hilton Kuala Lumpur on June 29.